Continuing to add our useful resources and give informative insights into our role within the creative industry and the 300+ events we produce for our clients each year. We’d like to say a massive thank you to everyone we’ve worked with this year – and what a year it’s been! We are so proud to have been involved with so many fantastic events again this year, so we thought we’d dig through the photos and revisit these memorable highlights of 2016 to share with you and say cheers for another fantastic year of events! 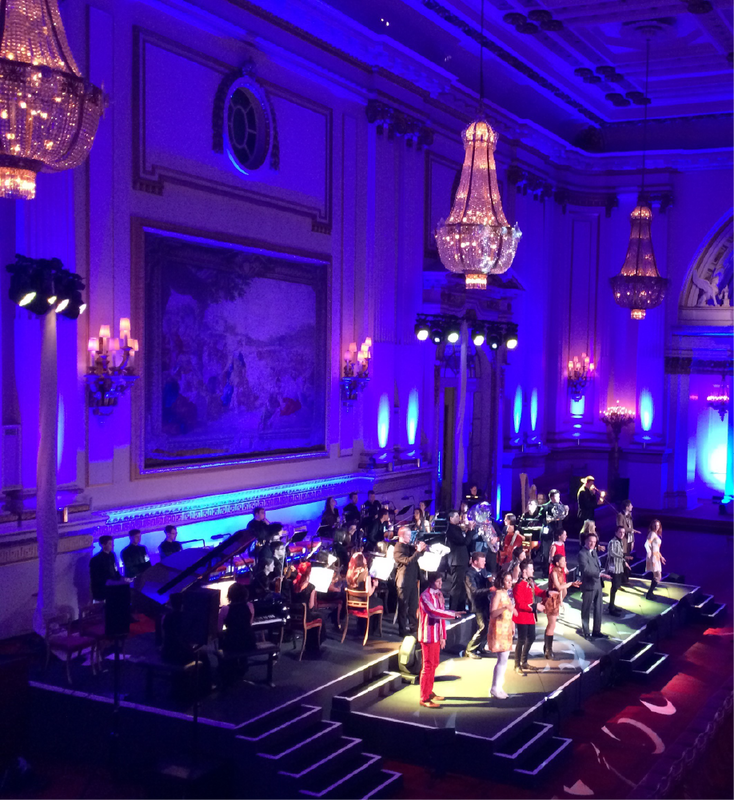 Back in February we supported the Royal Welsh College of Music and Drama in the production of a gala concert in the Grand Ballroom of Buckingham Palace. This was our second production in the Palace and once again it involved recreating a duplicate layout of the Ballroom within the college so that the students could rehearse in advance of the event day. 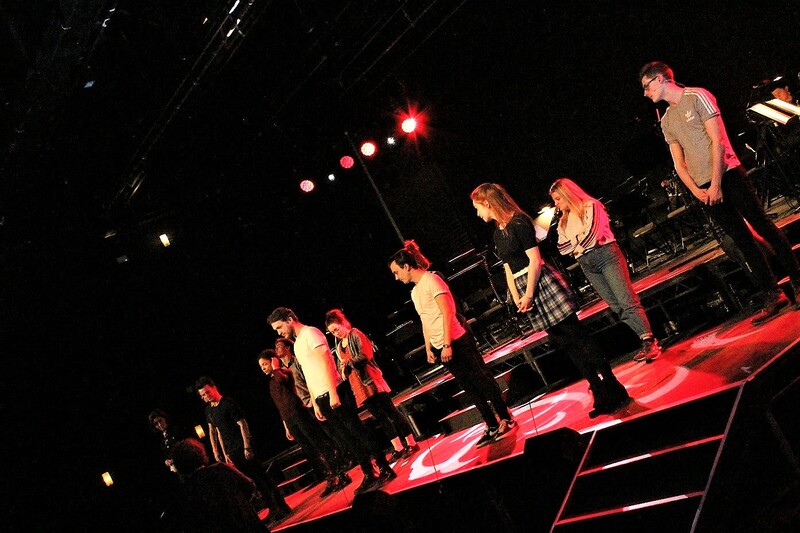 Here are some behind the scenes photos of rehearsals. 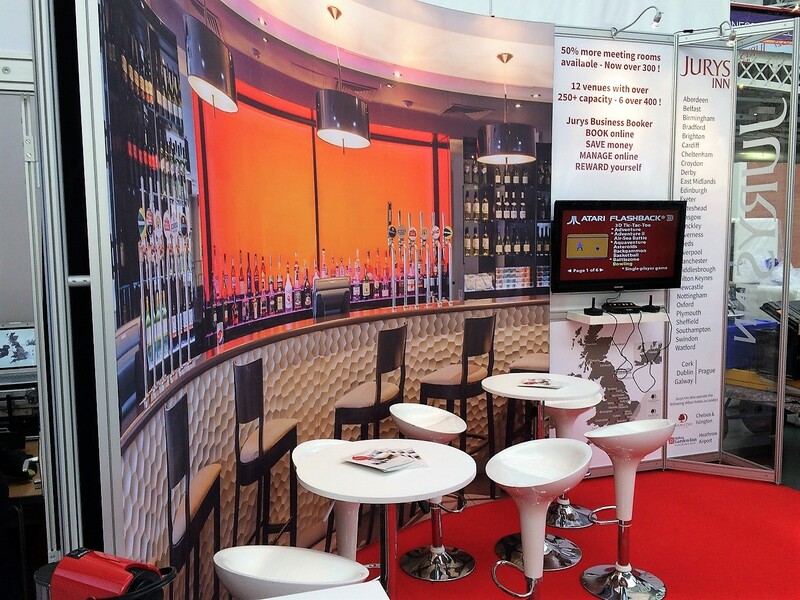 In the spring, and for the third year running, we designed, built and installed The Jury’s Inn exhibition stand at Olympia, London, for both the Business Travel Show and for Confex. If you are considering an event in or near any of these well placed locations then do not hesitate to Contact our creative events team or call us on 029 2143 2171. We will be happy to check availability and produce a complete no obligation quotation with a range of options for your upcoming event or occasion at a Jurys Inn suitable for you. Throughout 2016, Production 78 have been supporting The National Grid and their PR agency Grayling Communications with their planning meetings for the Richborough Connection Project, a proposed high-voltage electricity link between Belgium and Richborough near Sandwich in Kent, known as the Nemo Link®. 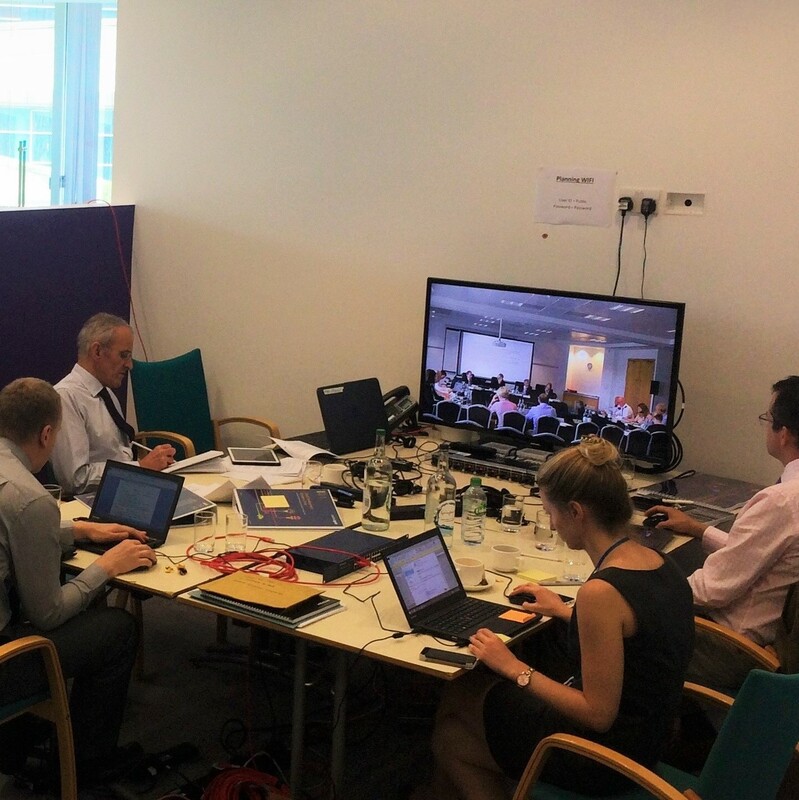 With National Gird staff and experts based all over the UK we were able to offer our brand new Live Steaming technology to prevent all staff travelling to Canterbury for every hearing. Plus those of us in the Cardiff office were able to keep tabs on our colleagues to ensure they weren’t just having a jolly! In March we worked with Costain and Vinci to produce and deliver their touring exhibition for the Welsh Government’s proposed M4 Corridor Around Newport. 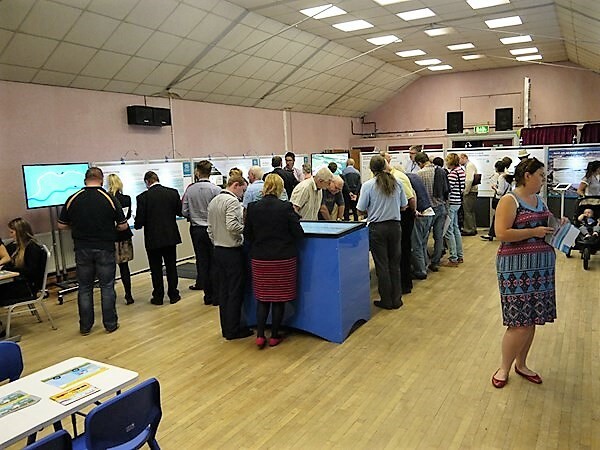 The full exhibition and some smaller versions toured public venues around the Newport Area and along the M4 corridor as far as Swansea to outline the proposed routes and options ahead of the public consultation which is planned to start in 2017. Production 78 provided the design and technology for a number of large format displays and our new state of the art 55inch multi-touch screen to enable visitors to get to grips with the layout and route of the new motorway. 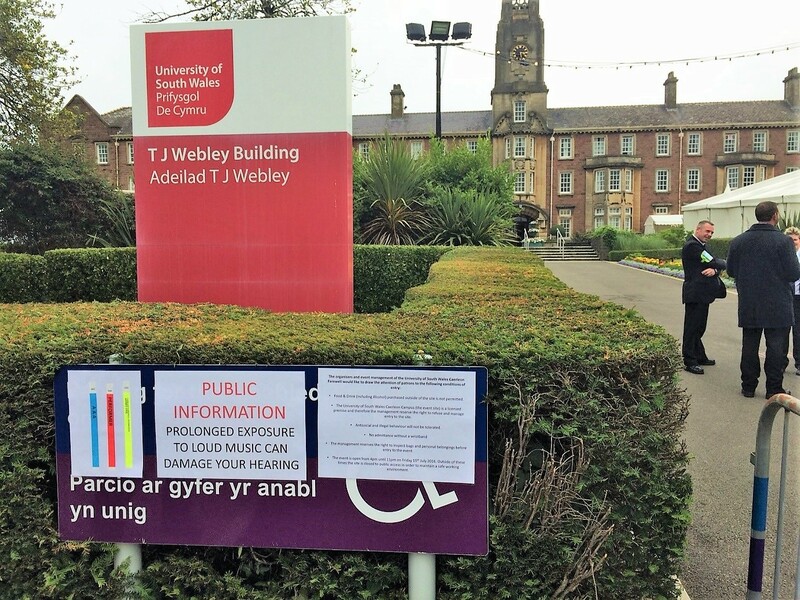 Back in May we were asked by the Welsh National Opera to produce some large format digital print for their installation at Wales Millennium Centre, to help support their security throughout the event. 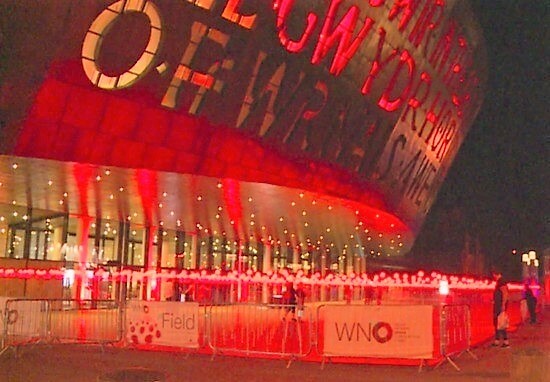 The poppy field installation was installed as part of their ‘In Parenthesis’ production at the Wales Millennium Centre and was in situ for 6 weeks. 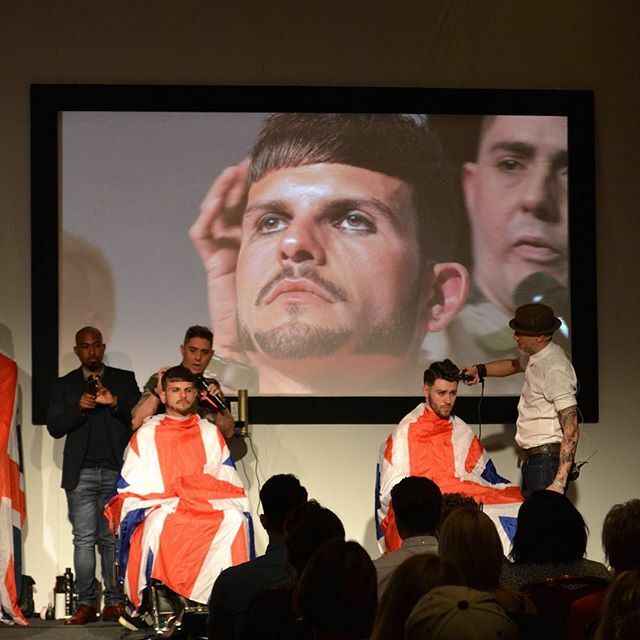 In June 2016, Production 78 produced the fourth year of Barber Connect at the Celtic Manor Resort. Bringing more barbers, more exhibitors and more live demos and workshops together than ever before, all at one huge event. This event is a great example of Production 78’s ability to provide a complete creative event solution. Alongside designing two floors of exhibition space, we also install various demo stages and two stand-alone seminar rooms - one of which turns around into a banquet style room for the evening dinner and awards. For this event we provide production design, event management, site management, traffic management, and full delegate management. In more detailed terms, we supply every element of the event from printing and installing bespoke shell scheme panels, to collating all exhibitor health and safety documentation. There are a few videos for you to sample the feel of the event weekend. Production 78 put on a full event production for The University of South Wales, to celebrate the campus in Caerleon as it closed its doors for the last time to all staff and students. Students and staff, old and new, returned to the landmark building to say goodbye to their beloved campus in July. 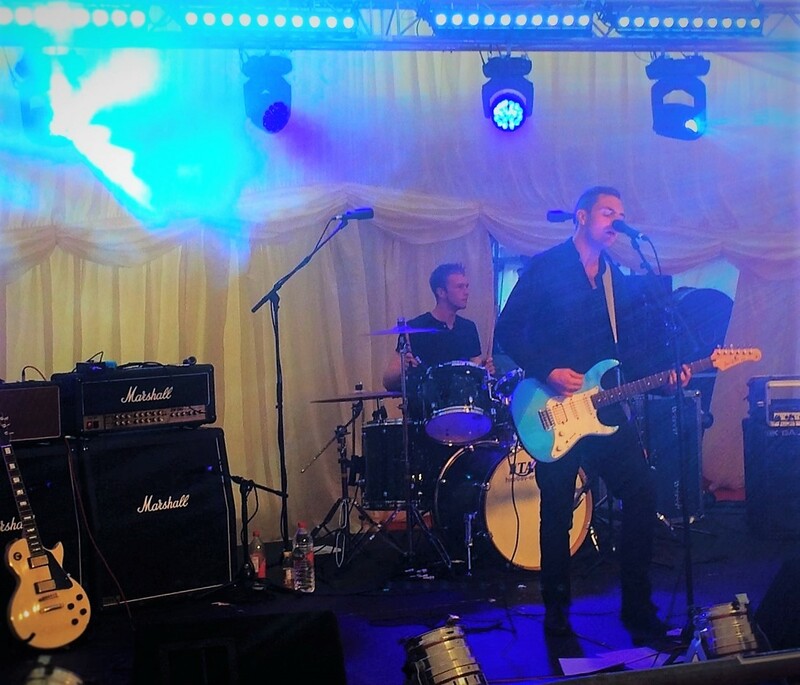 Production 78 designed and installed two live music stages one in the college bar and another in the pavilion marquee on the lawn for guests to enjoy. 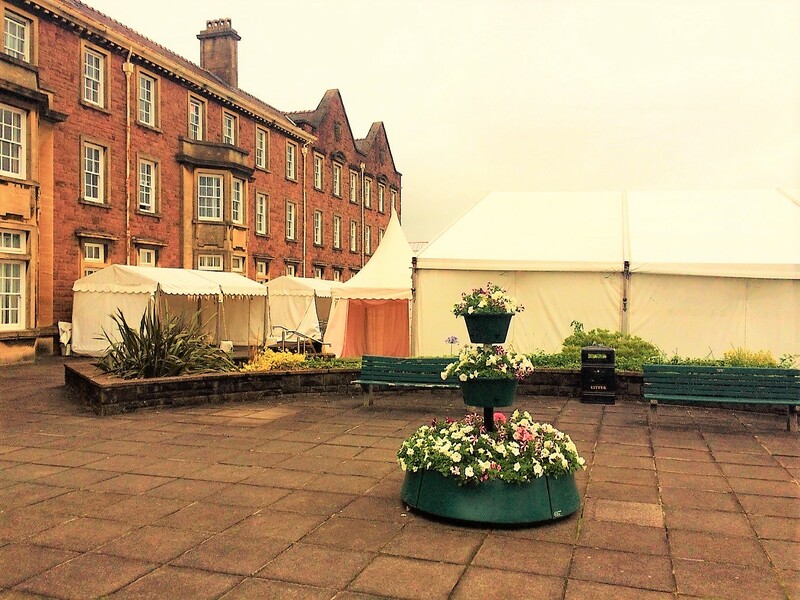 As well as running all the event management, catering and security to ensure the event went off without a hitch and was enjoyed by all who attended. Back for it’s 3rd year in Cleethorpes, last August Production 78 put on another full event production for The British Fish Craft Championships with its full weekend production. 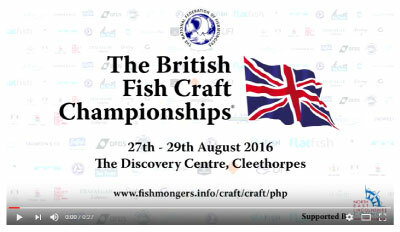 The best of the UK's fish craftsmen demonstrate their skills in a range of exciting competitions throughout the day. Open to anyone involved in the fish, poultry or game trade, the competitions test the skills that are necessary in the preparation of fish and poultry in readiness for use by the final consumer. 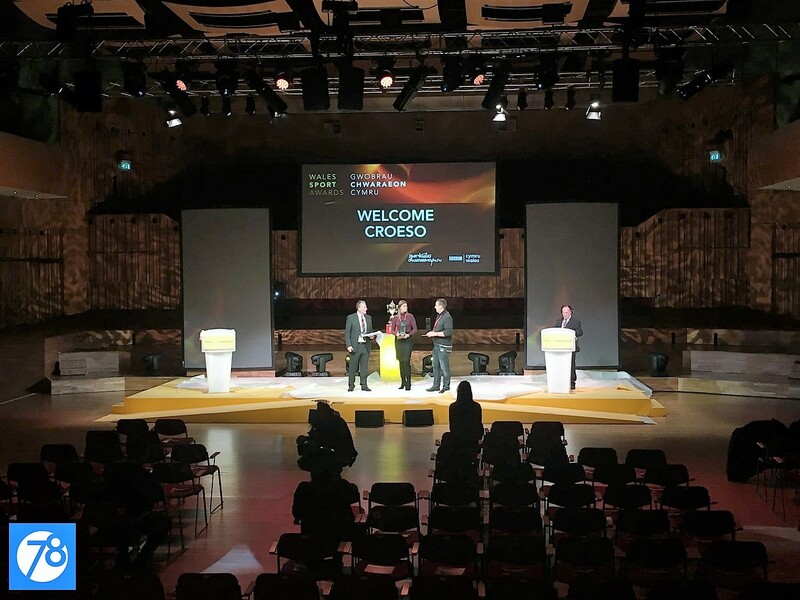 And just to round the year off, we were delighted to support Wales biggest annual sporting celebration, the Wales Sport Awards at BBC Hoddinott Hall, Wales Millennium Centre, Cardiff earlier this month. 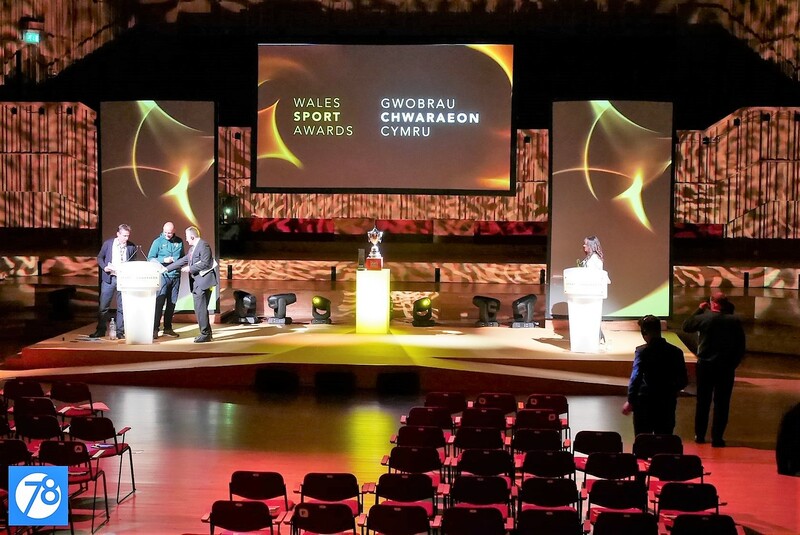 Working for Sport Wales and BBC Cymru Wales we delivered all the production and event management elements for this live television broadcast as well as the pre and post ceremony receptions. Footage of the live event is available to watch again on the BBC iplayer here until the 4th January 2017. Want to put on an event next year? 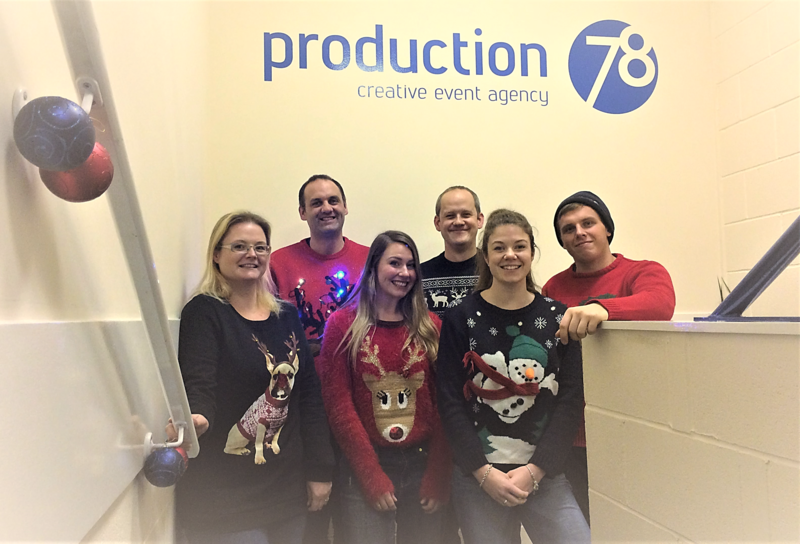 Production 78 Ltd are here to help. We have 16 years of experience working with brands and organisations to plan events that connect emotionally, and to deliver them seamlessly. Our dedicated team put our clients’ needs first; putting to use their experience and our cutting-edge technology, with a detail lead approach. So if you’d like to put on 2017’s event of the year, look no further for support than here. Send us your thoughts and questions to sales@Production78.co.uk to open a conversation about what you’d like to achieve from your event and we’ll set the ball rolling from there. 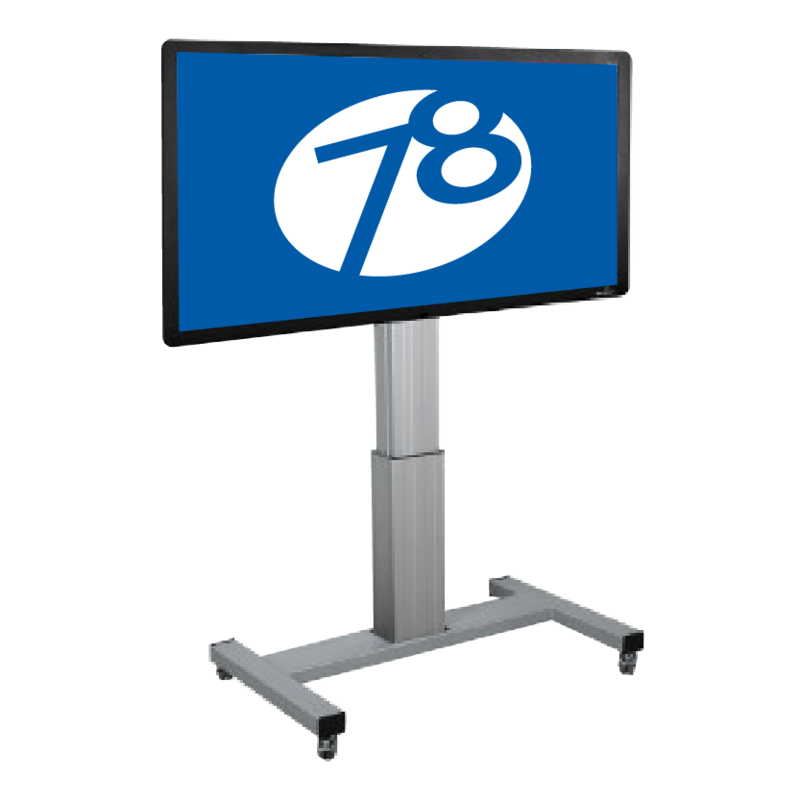 Email us at sales@production78.co.uk or call us on 029 2143 2171. We will still be running our events through the seasonal period and offering out of hours support to customers who may require this service. Have a magical Christmas and a happy 2017! Caelwch nadolig hudolus a 2017 hapus! Nicola, Stephen, Lesley, Duncan, Manda and Rob. More devices, more platforms, more networks, and more content than ever before mean that there are fewer opportunities for brands to engage with an audience of any scale at any given time. And so, for brands - a time and place of guaranteed collective engagement are extremely valuable. Events captivate and inspire an audience for a limited time where people are collectively turned-on, tuned-in, open-minded, and socially active around a brand and its story. At Production 78 Ltd., we’ve seen the value of events to brands —they provide opportunities to give a message more impact, and create an opportunity for emotional connection that cannot be found elsewhere. In celebration of 2017 fast approaching, we’ve put together 7 top trends in the world of events that brands should really consider taking advantage of. 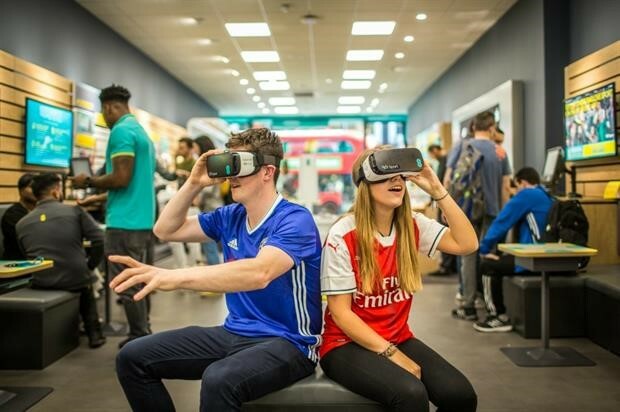 This year we have seen a huge rise in virtual reality (VR) being used in experiential marketing events, and this trend is showing no signs of slowing down. A report from advertising technology company YuMe and research company Nielsen revealed that using VR for brand events can increase customer attachment by as much as 27%. We can all thank Pokemon Go! 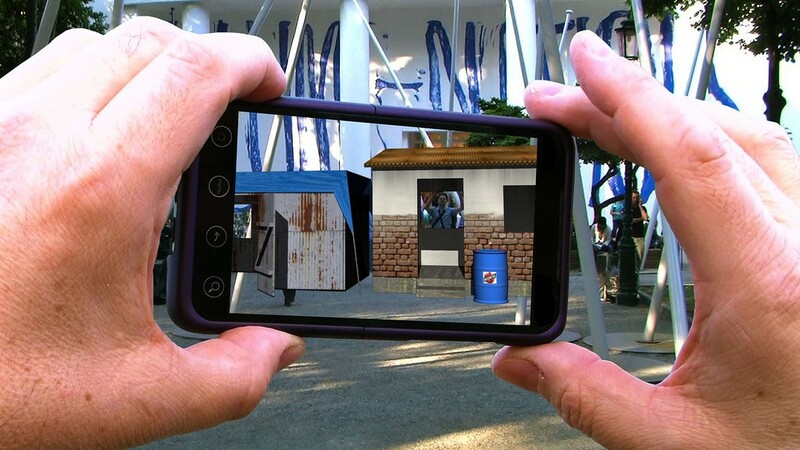 For this trend - Augmented reality (AR) differs from virtual reality in that, rather than transforming the user's world entirely, it alters aspects of their environment to create scavenger hunts, or event to make 2D posters 3D and interactive. Trend #1: Expect to see Apps weaved into the Fabric of Events – Beacon technology will take events and apps to a whole new level. At many events next year, expect to experience an app in order to experience the event itself. Trend #2: It’s All about the User Experience – Event organisers are realising that they can no longer ‘skrimp’ on event apps. You get what you pay for. Trend #3: Seamless Social Sharing – This one is as it says in the tin – Enabling your guests to make your event, big or small, viral. Trend #5: Using Apps to Create Active Participants - Expect more event apps bringing gamification principles—competition, achievements and rewards to guide attendees toward desired behaviours—to conference-based learning. Users will be rewarded for participation, like accumulating points for consuming and sharing content. Trend #6: Smarter Matchmaking and Networking - Event companies and app developers are recognising that many event attendees go to said event to connect with very particular people. Despite being one of the more controversial tech trends this year, the drone enthusiasm looks like it is going nowhere in 2017. They provide the opportunity for 360-degree video filming, as well as aerial filming and photography. 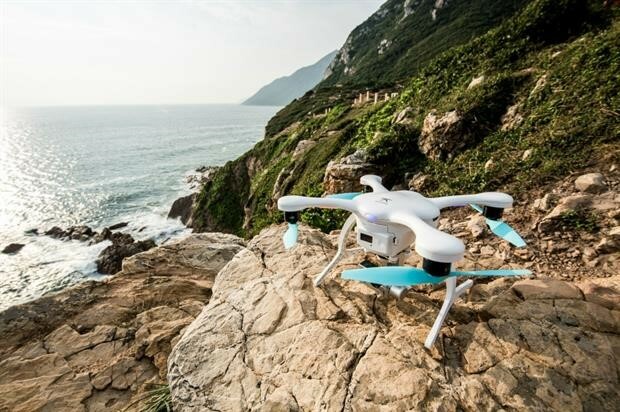 Drone models for the new year are set to be better-faster-stronger providing for more opportunities to capture events to set them viral in 2017. In 2017 Photobooths won’t just provide guests a visual memento. They will become a bigger part of the experience of the event as technology quickly advances around their popularity at events in 2016. A great example is Spotify's recent pool party campaign in Austrailia – Guests went in for a selfie inside a branded truck and were transported to a summer pool party! 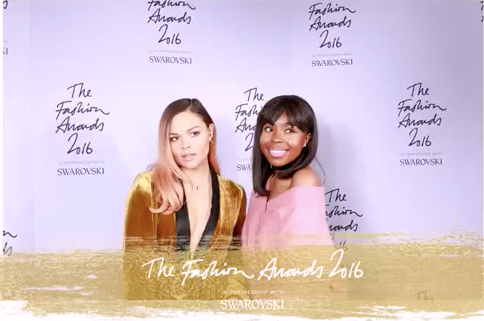 – Watch out for more exciting photobooths like this to take centre stage at 2017 events globally. 2016 was the year that video became one of the biggest factors in improving consumer engagement. Despite being a platform built for image-sharing - even Instagram is now getting involved with the video trend. With the introduction of Facebook Live, streaming video content has become more popular than ever before, and gives brands the opportunity to see instant reactions from consumers, as well as making intimate experiential marketing moments viral. Technology developed specifically for social media platforms is at an all-time high. Apps such as Boomerang, which creates mini videos which loop back and forth, and time lapse technologies are being brought into the physical world of events to create experiences for guests to take home. Want to put on an event next year? Production 78 Ltd are here to help. We have 16 years of experience working with brands and organisations to plan events that connect emotionally, and to deliver them seamlessly. Our dedicated team put our clients’ needs first; putting to use their experience and our cutting-edge technology, with a detail lead approach. So if you’d like to put on 2017’s event of the year, look no further for support than here. Send us your thoughts and questions to info@Production78.co.uk to open a conversation about what you’d like to achieve from your event and we’ll set the ball rolling from there. Why SME’s should consider organising experiential marketing events. Experiential marketing is a phrase that gets used a lot these days. Some people say it’s event marketing that’s evolved. We describe experiential marketing as the most perfect way to build customer/consumer emotional motivation. While traditional advertising verbally and visually communicates a brand and product - experiential marketing immerses the consumers within the product by engaging as many other human senses as possible. They could be going about their daily routine and simply experience a true act of kindness or get faced with an opportunity to test your product in an unexpected way. So, experiential marketing can encompass a variety of other marketing strategies from individual sampling to large-scale guerrilla marketing. 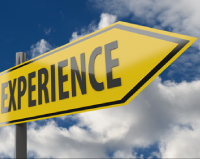 In the end, the goal of experiential marketing is to form a memorable and emotional connection between the consumer and the brand so that it may generate customer loyalty and influence purchase decision. 95% of people who have experienced an experiential event have become consumers of that brand on the back of the experience. 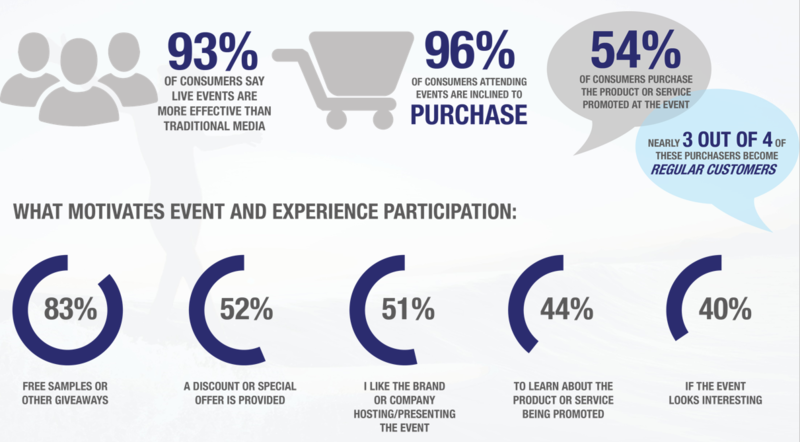 52% who had experienced an experiential marketing event, promoted the branded event they attended. This is human nature. When something interesting happens to us, we tell our friends – Sometimes we put it on social media and that’s when it can really catch fire! Our advice? If you do it, don’t hold back! Go big on the promise to offer a thrilling, perhaps once in a lifetime experience. 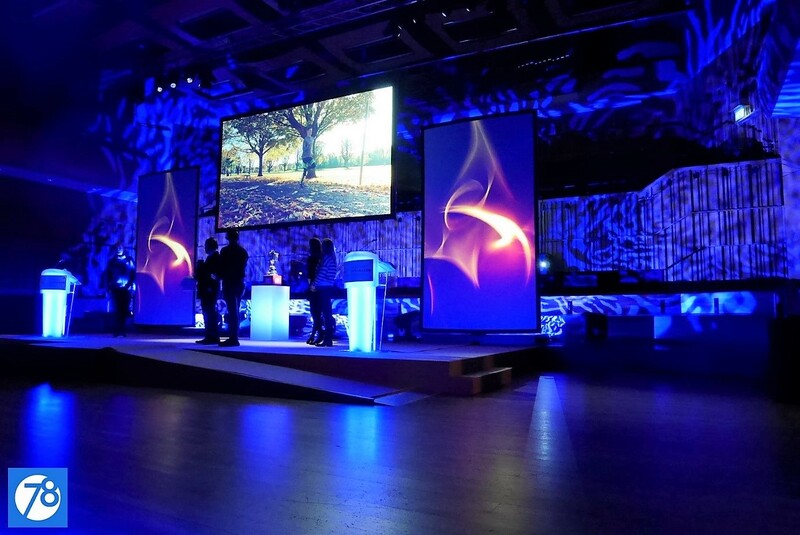 If you would like to create an experiential marketing event, Production 78 can help. So here’s how the collaboration begins - First we’ll have a conversation to delve into your brand, as this is the foundation from which we build your story as a live experience. Any experimental marketing event we design would need to involve multiplatform integrated campaigns that often begin and end online. We implement digital strategies, with technology such as live streaming, and we would work with you to create effective social media solutions to ensure 360-degree engagement. The proper planning of an event requires attention to detail that borders on obsessive. And yes, we’re obsessed. We walk in the audience’s footsteps and plan every inch of the experience with intention, to ensure we deliver seamlessly executed experiences that offer the highest level of service on your behalf. From venue selection and food and beverage curation to full registration, transportation, and concierge and hospitality services, our team will work so closely to yours, they would become like an extension of yours. 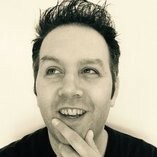 60 seconds with... Freelancer "John Atkins"
The events industry is a wonderful, busy and sometimes weird industry to make a career in. – What experiences have you had that will never leave you? There’s been a few but while working on I’m a celebrity get me out of here reunion party – Without name dropping! – I ‘ll never forget seeing a well-known celebrity punch a photographer as they attempted to get the “money shot”. What’s the best production or event that you have worked on? I have worked on lots of huge and beautiful events, but in 2002 I worked on sky’s Paradise Island launch. I was working at a venue at the time that was transformed into Paradise Island, with lots of zones for celebrity interviews. I remember talking to a young Dermot O’Leary and just being amazed at the whole thing. - The production and busy-ness of it. I have worked in different areas of events, but I think the industry has definitely changed in terms of tech. it’s now very up – to – date, and far more health and safety conscious – which I think is a good thing. Also I’ve noticed a massive rise of experimental marketing events. Basically using events to sell a product – Experimental and data capture is now a big thing, and that will continue as companies want to have a more personal interactive relationship with their customers. What are your core skills or USP (Unique Selling Point) when you sell yourself as a freelancer? I always have a can do attitude, if you fail – so what!? Move on, try again or try another role in events, it’s all experience. I believe communication is a great achiever and a very understated method of helping you do your job. What advice would you give to anyone breaking into the event industry now? So for me it was, make yourself "indispensable." I suppose I didn't realise at the time, but when I worked at the local Racecourses at the age of 16 - 19 during college, I think the event bug got to me - The buzz of the industry – It wasn’t anything like 9 – 5 office work. I got to meet lots of different people in a very creative environment. If you know what you want out of the industry or you know what you are looking for - target those companies but working in different areas of events won't do you any harm. I know it’s tougher now, but when I first started, my main job was working at a venue doing lots of different roles, including a bit of admin. In the summer months when the venue was quiet I sometimes got some work with a security event team, alongside fixing and repairing cables and prepping flight cases to go to the Science/ Natural History museums. 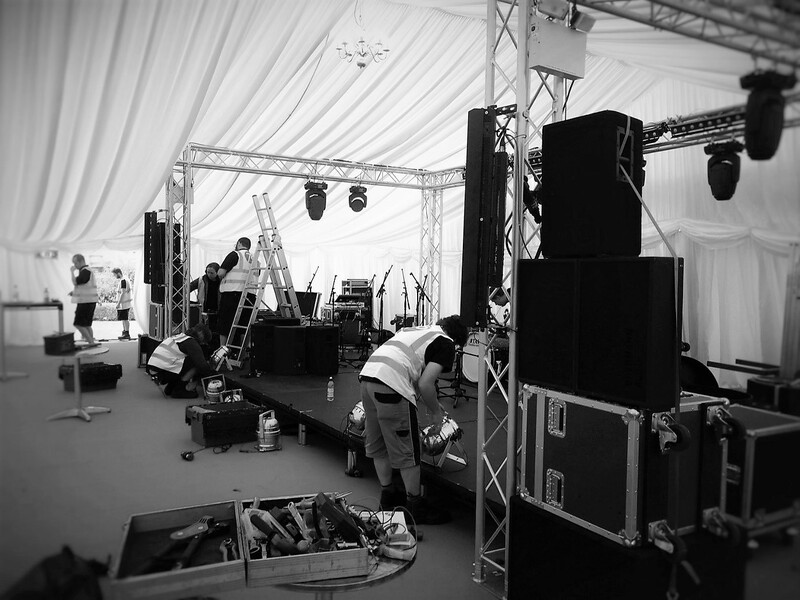 In the busy months I was there to set up the events for the venue when they had no external production team coming in. It was mainly tables and chairs, but I also got to set up some draping, small stages, dance-floors, some up-lighting, and I would gather the catering requirements (glasses, plates, cutlery). When the event finished, I was then responsible for making sure the venue was clear and locked up - Duty management responsibilities; I particularly enjoyed this and ended up working more in floor management. •	Work experience and a little bit of knowledge is very handy. •	be prepared to work lots of hours and weekends. •	Target lots of venues, production companies, catering firms etc and see what roles you like and want to get into if you’re currently unsure. •	It can be difficult to get the experience, but persist. - There will be some ups and downs but find companies that you enjoy working with and go for it! Just remember - Work hard and get a good name for yourself, as this is well connected industry – Everyone knows each other! 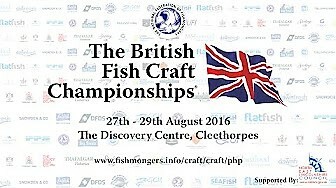 This Bank Holiday Weekend Do Not Miss The British Fish Craft Championships! Now in its 64th Year this annual event is an August Bank Holiday favourite. 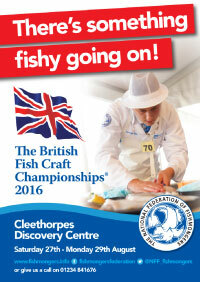 Back for it’s 3rd year in Cleethorpes, The British Fish Craft Championships are open to anyone involved in the fish, poultry or game trade, and put to the test, the skills that are necessary in the preparation of fish and poultry in readiness for retail. 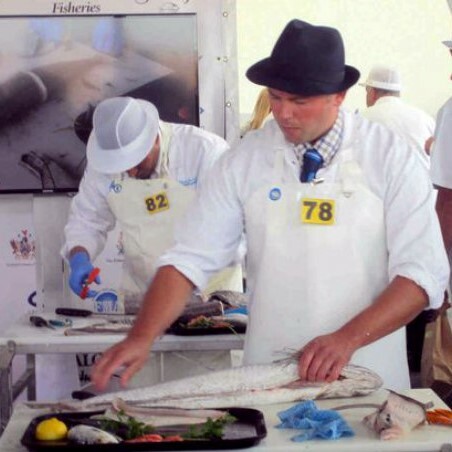 There are many standalone competitions within the championships, which will be judged by experienced fishmongers from across the UK - Ultimately the weekend will highlight the best that Britain has to offer in this industry, and will crown the ultimate ‘British Fish Craft Champion’. In addition to the competition day on Sunday the 28th August, there will also be live public Fish Craft demonstrations on both Saturday the 27th and Monday the 29th August. The event is FREE to ATTEND so just come along to the Discovery Centre, Cleethorpes Waterfront. If this is not enough to tempt you in then you can also get some really good deals on some really well filleted fish and the proceeds of what you do buy all go to charity. The ability to stream events in real time, make virtual meetups, and social media sharing are all becoming vital parts of the event experience. 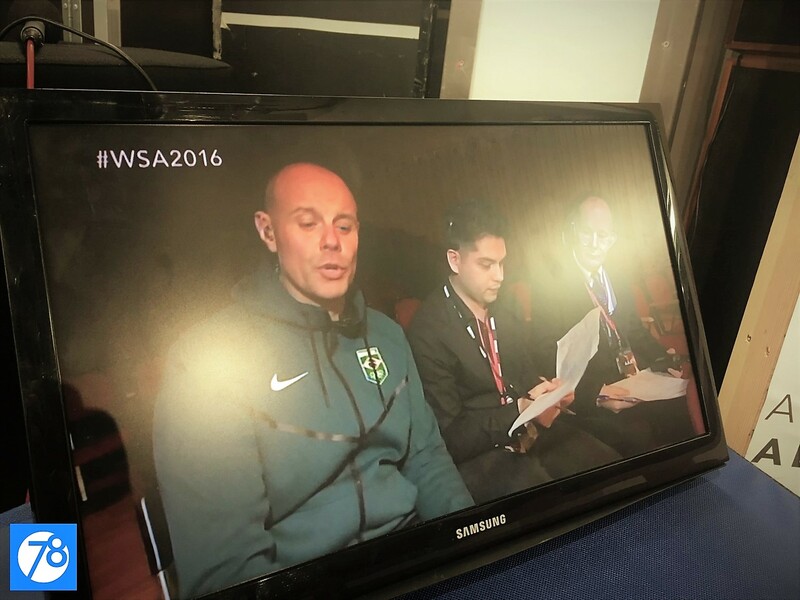 And as those of you who are keen followers on our social media pages will know – Production 78 have recently invested in exciting live streaming tech! The main pros to live streaming are obvious – global outreach can be achieved as well as higher levels of engagement. It’s a way for event content to go beyond the limits of the venue through technology immediately. • Use the technology to illustrate and promote your products and services. 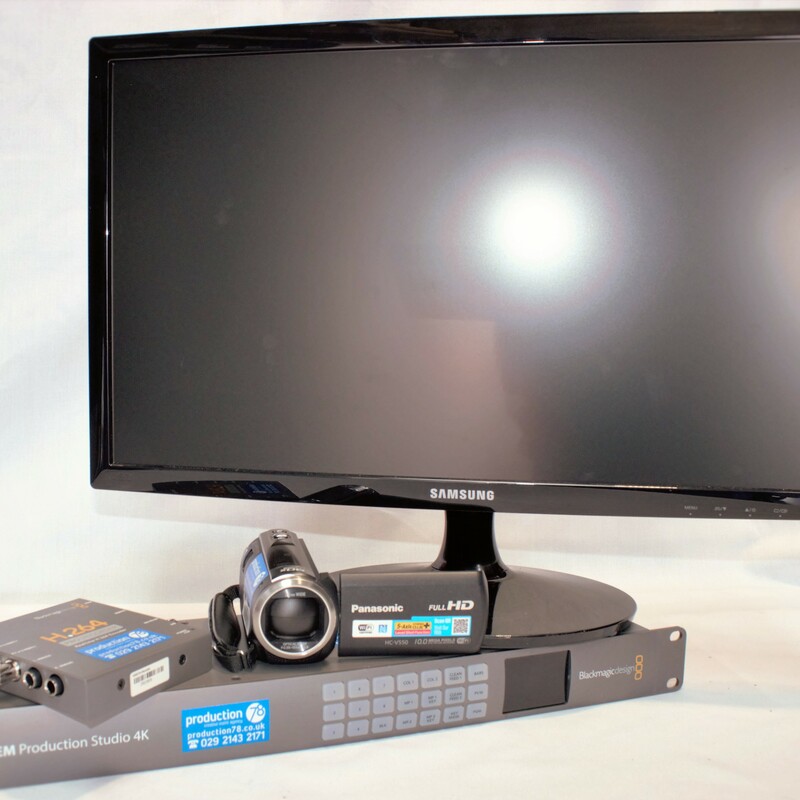 • Use the technology in breakout rooms at meetings. • Make live announcements or host online meetings. And many industries can benefit from live streaming tech - For employees or clients who have locations spread geographically, streaming events through a provided weblink offers you a cost-effective means to reach wider audiences with your message and vision. This feature really helped a recent client of ours who’s team were able to access a conference from the comfort of their office chairs, and without the expense of travel and accommodation for a meeting. This is thanks to the web server which hosts the live video streaming; also people watching from other locations can be engaged by writing in questions and receiving answers to their messages live - Saving travel, hotel and welfare costs – Win win! 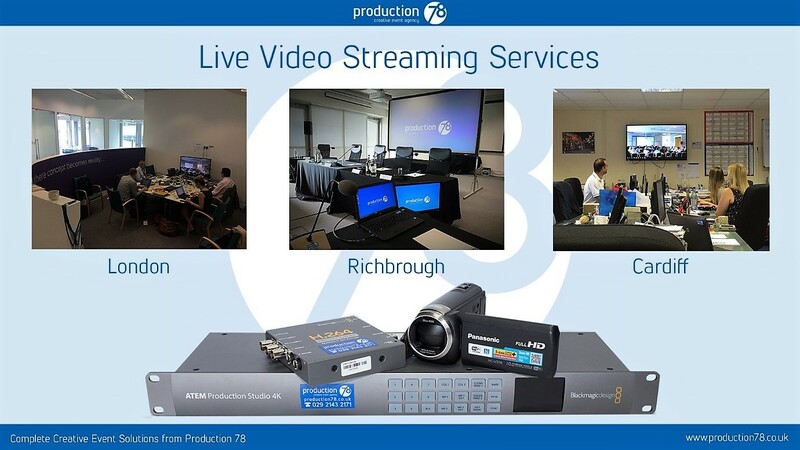 Production 78 will handle all elements of production for streaming your live event so you can focus on what is important, "your message"– Including the installation and management of internet access. Our highly qualified and experienced production team will happily have a chat with you about the possibilities to execute a successful live event personalised to your vision. For more information please email our sales team at sales@production78.co.uk or call us on 029 2143 2171. 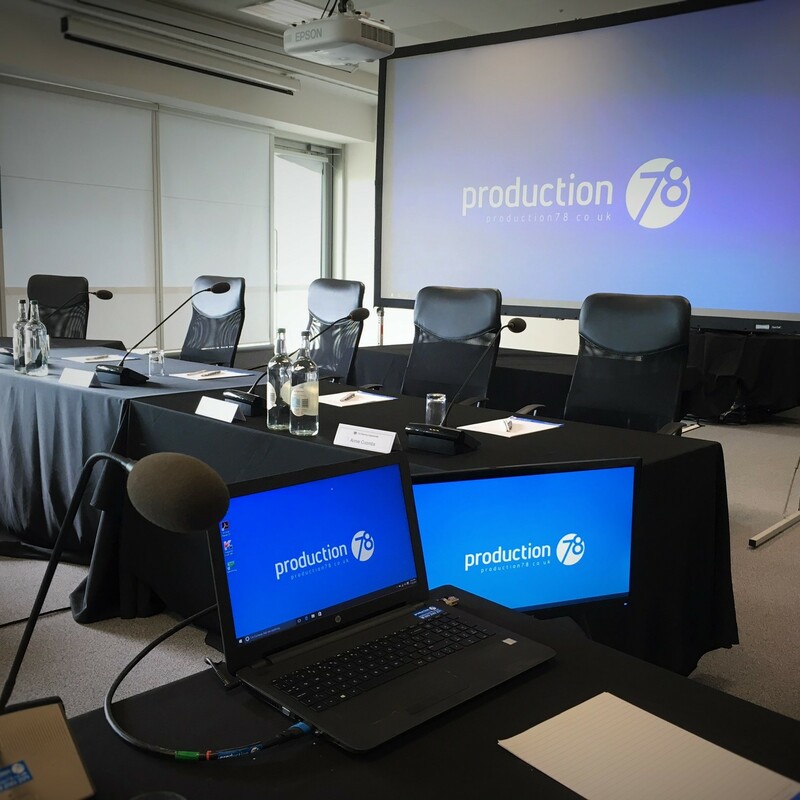 Production 78 have a keen interest in furthering the training and education of our workforce and we regularly hold training courses to develop and hone our staff’s skills. 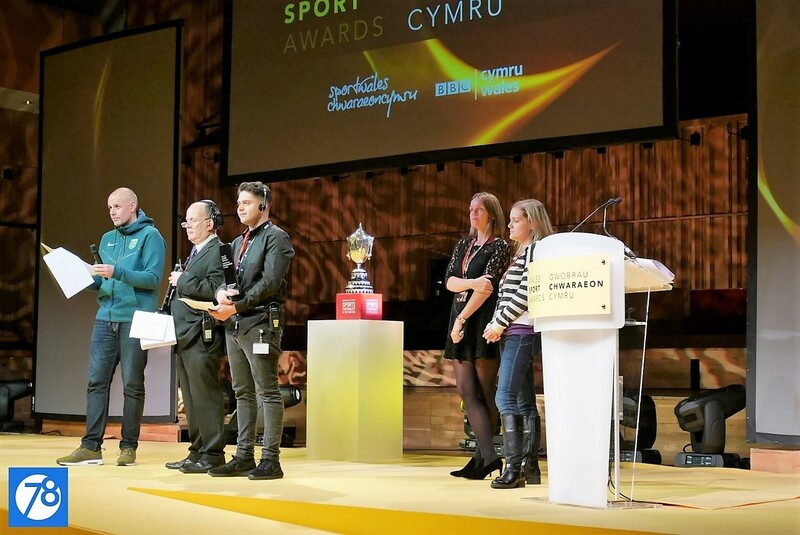 We also deliver our methods, processes and training to the only specialist Masters Level Event Production course in the UK at the Royal Welsh College of Music and Drama. As part of our relationship with the College we often offer temporary work placements for students. Currently Sam Dougan is on placement with the company and has written us a short blog outlining his goals before he gets stuck in to work with us! Keep an eye on the blog for an update from Sam before he leaves. As part of my degree, I chose my final external placement to be with Production 78 in Cardiff. This is because I wanted to build on my current experience of events, specifically in Cardiff and the South Wales area and also try and develop healthy contacts with companies across Wales which will give me a good stepping stone into the industry after graduation. 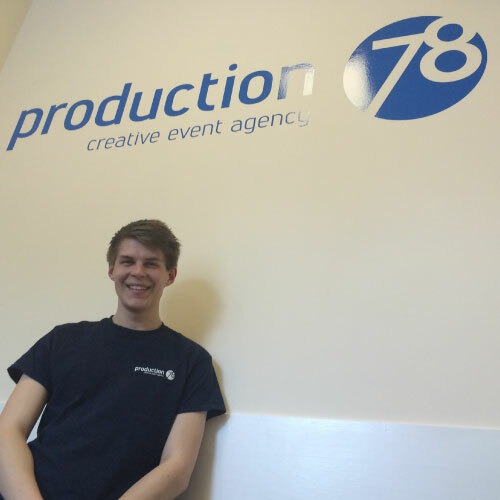 Being one of the largest creative events companies in Wales, I chose to undertake a placement with Production 78 to gain experience of large scale, high profile, creative events to help me broaden my already growing knowledge of the event industry and more specifically Production Management. My long term goals include; pursuing my sailing hobby to eventually gain my RYA Ocean Yacht Master’s qualification and working as a Production Manager for large scale Christian events and Christian churches across the world. Thanks for reading and I shall give an update later at the end of my time with Production 78. 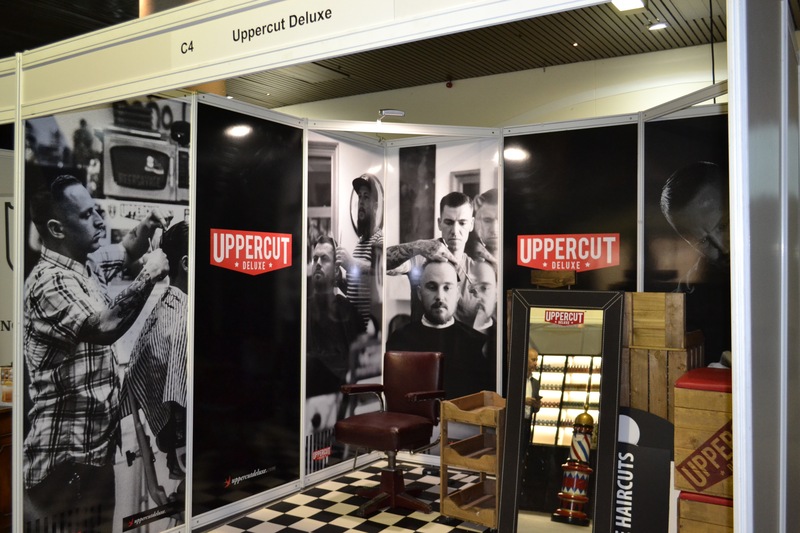 Barber Connect is the only exhibition in the UK that is solely focused on the increasingly popular industry of men’s barbering. The event aims to provide a platform for barbers to come together, network and share their knowledge which will raise the profile of the industry. Production 78 has delivered this event for our client since its inception in 2013. 2016 will see the fourth year of Barber Connect. 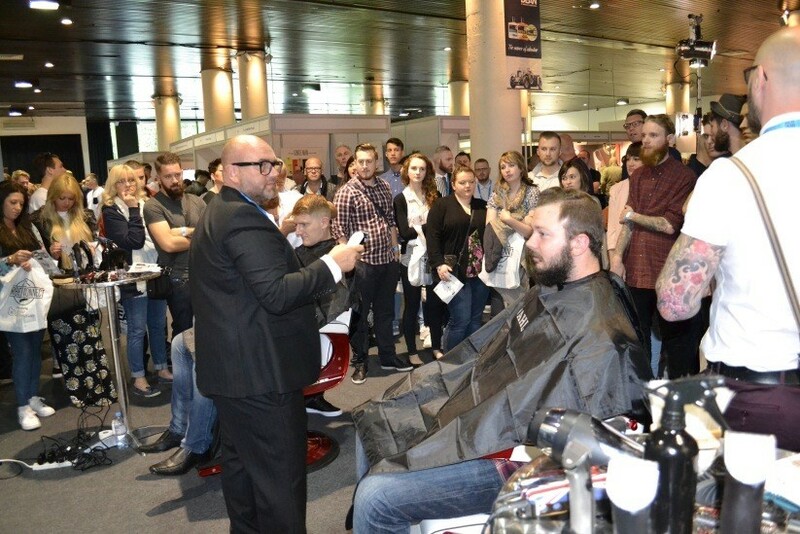 Last year’s sell-out event set a high standard, but we are confident that we can raise the standard again this year by bringing more barbers, more exhibitors and more live demos and workshops together all at one huge event. We hope to bring the best products and services to barbering and set new standards of excellence. This event is a great example of Production 78’s ability to provide a complete creative event solution. 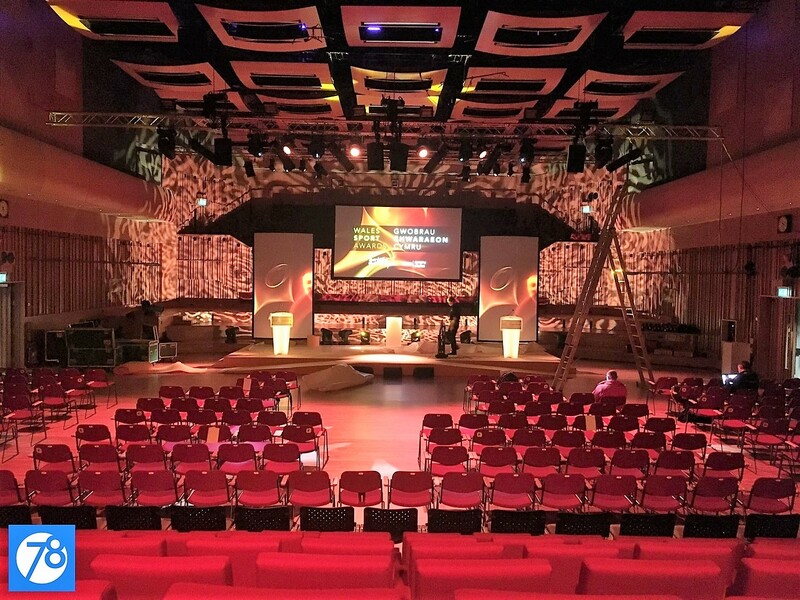 Alongside designing two floors of exhibition space, we also install various demo stages and two stand-alone seminar rooms - one of which turns around into a banquet style room for the evening dinner and awards. For this event we provide production design, event management, site management, traffic management, and full delegate management. 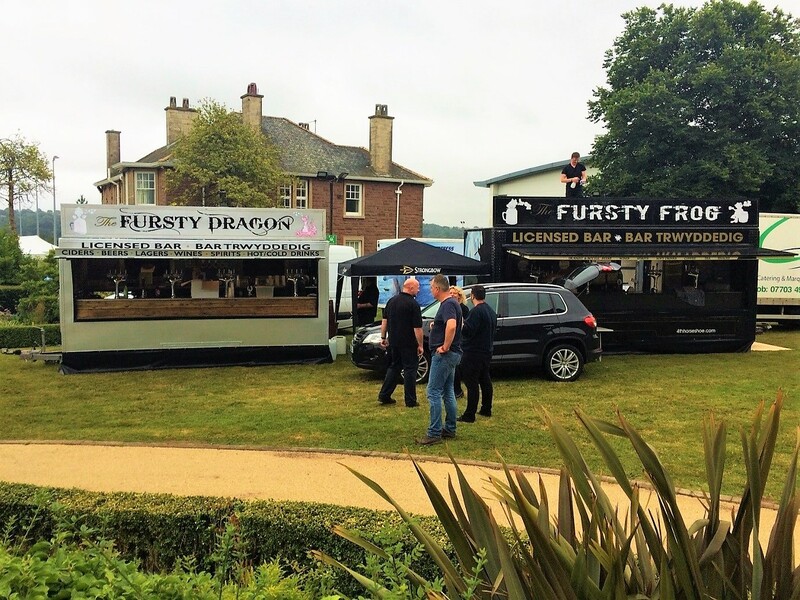 In more detailed terms, we supply every element of the event from printing and installing bespoke shell scheme panels, to collating all exhibitor health and safety documentation. This is an event that we work on all year round, as soon as one Barber Connect comes to a close we are ready to launch the website for the following year. When working on events of this scale, the longer a period of time you can allocate to working on it the better. A longer working period allows you to spread out your targets and takes a lot of the pressure off in the run up to the event. The more work you can get done in advance the easier your production week will be and the higher the quality of the end product. 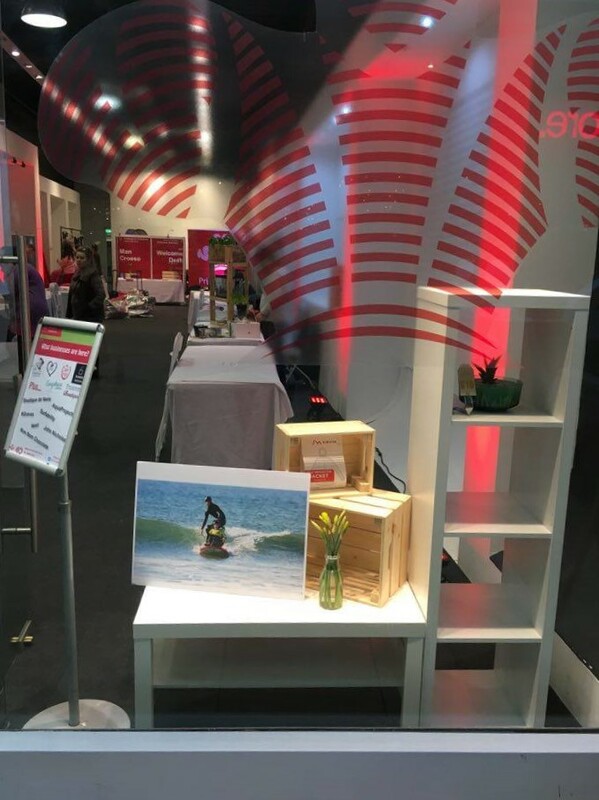 If you have an exhibition coming up and you would like some input from a team of industry professionals don’t hesitate to get in touch with us. 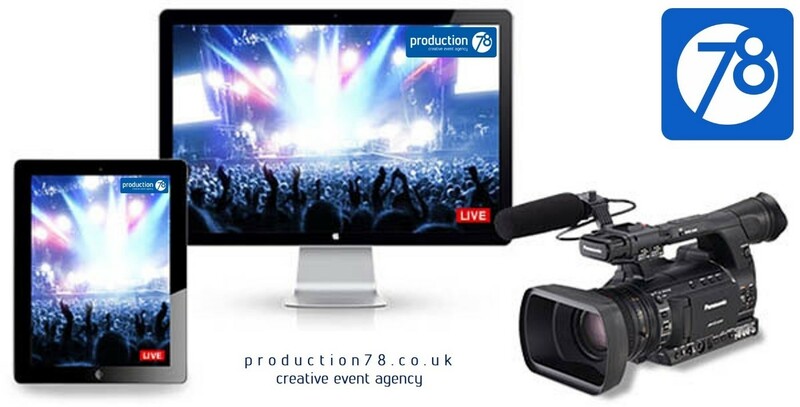 Send any email enquiries to sales@production78.co.uk or call us on 029 2143 2171. An important part of being a complete creative events management company is the ability to continually develop what you can offer your clients. Having a finger on the pulse of your industry allows you to remain up-to-date with all the latest technologies and developments in your field. We at Production 78 are constantly looking at ways to develop our skills base. 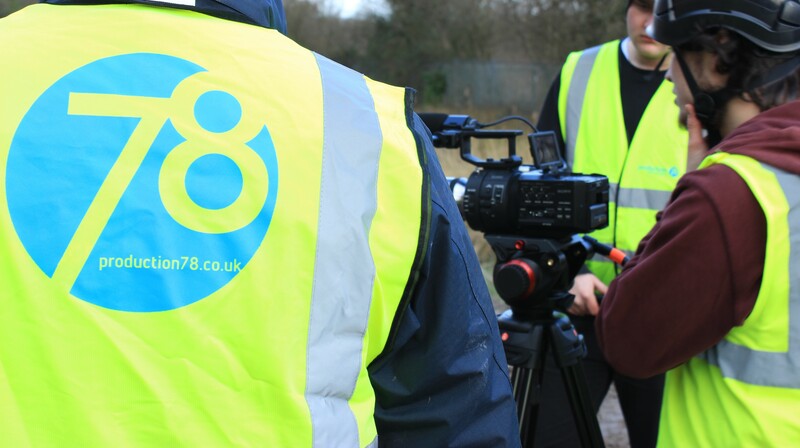 One of our current projects highlights a new service that we are now able to offer our clients; video production. We now have the capacity to offer the full production of any video you may need, be it a promotional video, a tutorial, or a time-lapse documentation video. 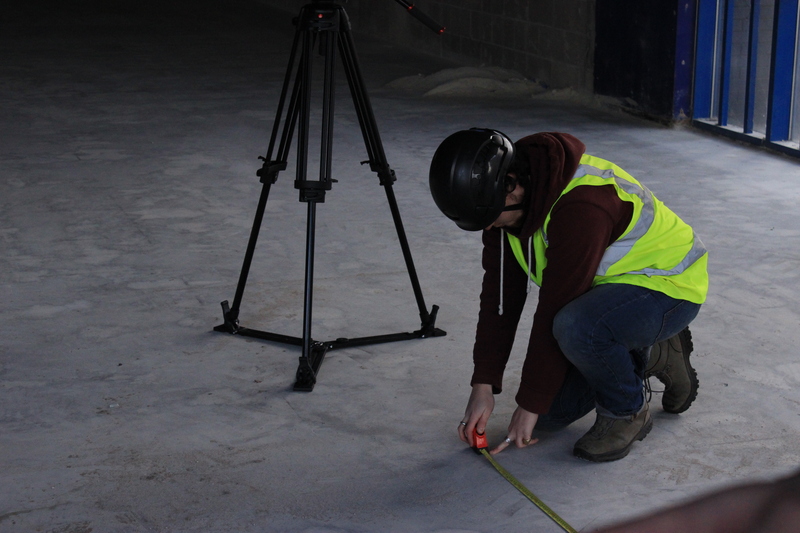 Alongside all our other projects that are gearing up for the summer, we are currently creating a video that will document the development of a reclaimed industrial unit that is being transformed into three new leisure park units. 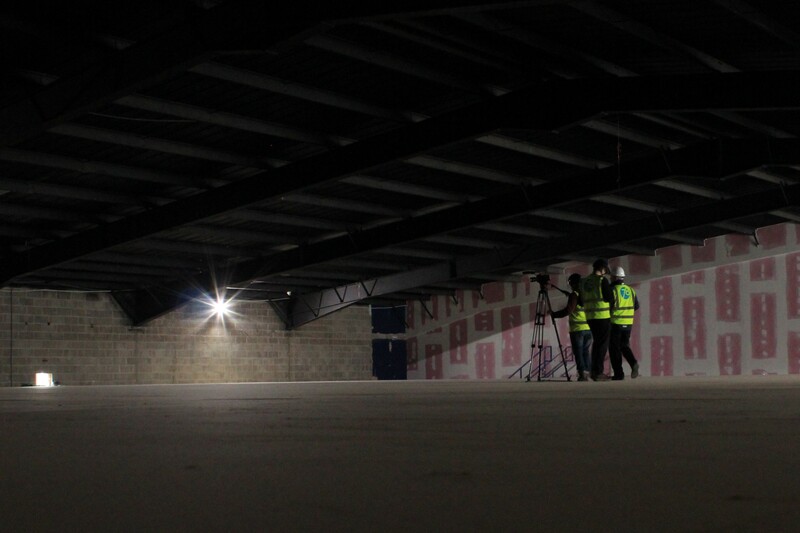 The video will be made up of both photos and time lapse footage and will document the changes in the building across the development process from start to finish. The Prince’s Trust is a charity that was founded by the Prince of Wales in 1976 with the aim of improving the lives of disadvantaged young people in the UK. 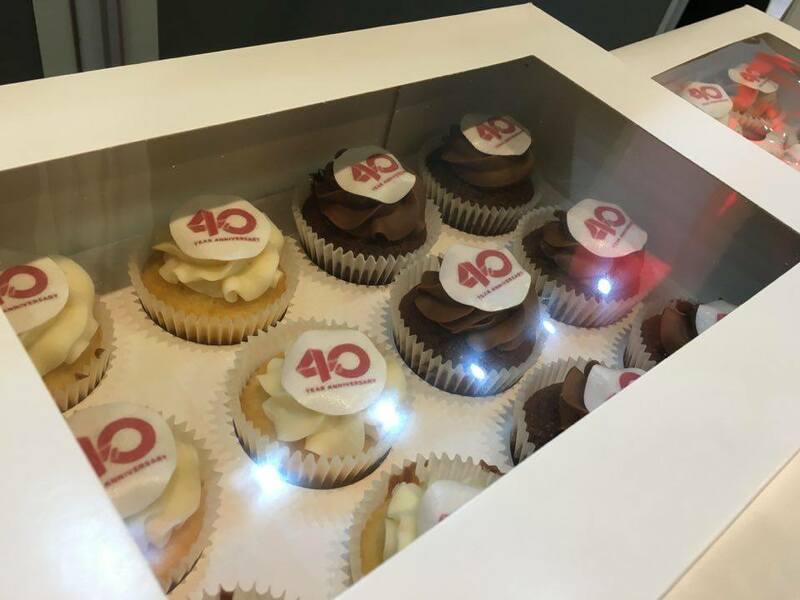 This year marks the charities’ 40th anniversary and over the last four decades The Prince’s Trust have supported more than 825,000 young people across the UK. 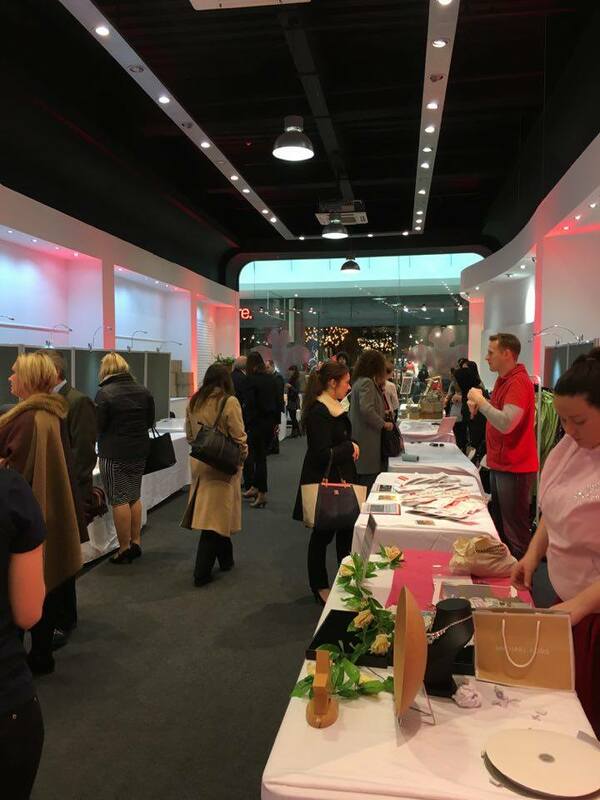 This weekend, Production 78 have worked with The Trust to install a pop-up shop on the ground floor of the St David’s arcade in Cardiff (opposite the Superdry store) showcasing some of the enterprises that the charity has supported. This is the third consecutive year that we have been involved in the production and event management of the pop-up shop and this year we’re hosting the largest selection of enterprises thus far. The shop is open now and will be around until the centre closes on Sunday so hurry on down and meet our lovely stall holders before all the chocolate goes! 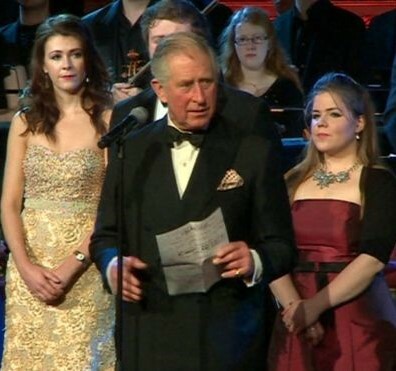 On Monday 8th February 2016, Cardiff based Creative Events Agency Production 78, produced a gala event on behalf of the Royal Welsh College of Music and Drama in Buckingham Palace, hosted by the Patron of the College, HRH The Prince of Wales. The concert was held to acknowledge the continued support and contributions made by sponsors of the College. The evening featured performances from current students at the College including Emyr Wyn Jones, Charlotte MacClure, and Charlotte Kwok a nine-year-old concert pianist who attends the junior conservatoire at the College. 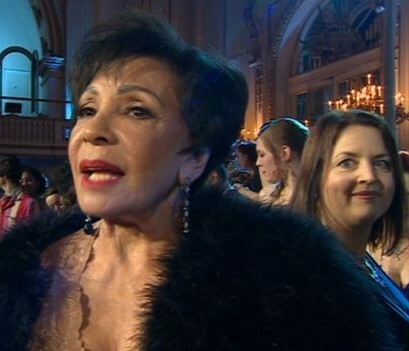 Guests in attendance at the Palace, along with HRH The Prince of Wales himself, included names such as Dame Shirley Bassey, Bryn Terfel, and Michael Sheen. In total, around two-hundred-and-fifty committed supporters of the College’s work were present at the event. 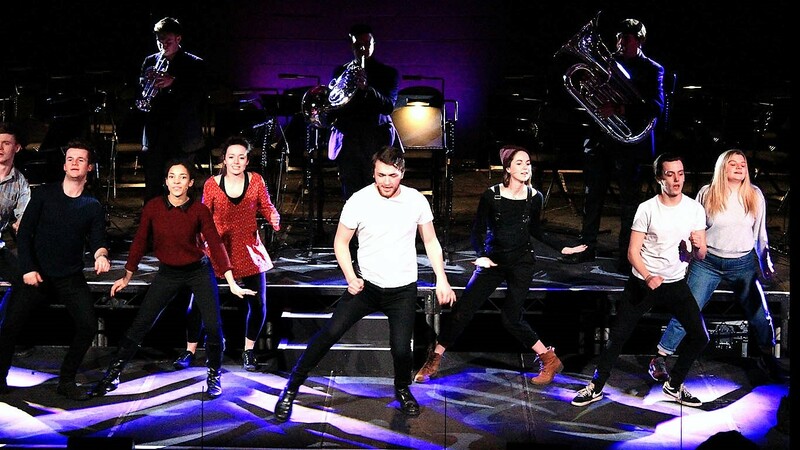 With over 80% of their workforce being graduates of the Royal Welsh College this was a concert that had a heartfelt significance to Production 78. 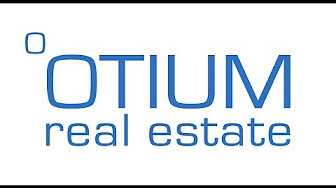 The directors of the company, Duncan Thompson and Stephen Burkitt-Harrington, studied at the College together and formed their company officially in 2001 after working on the rugby world cup at the Millennium Stadium in 1999. The rest of the team studied there between the years of 2007 and 2012. Production 78 has been responsible for delivering many of the College’s landmark events since forming in 2001. 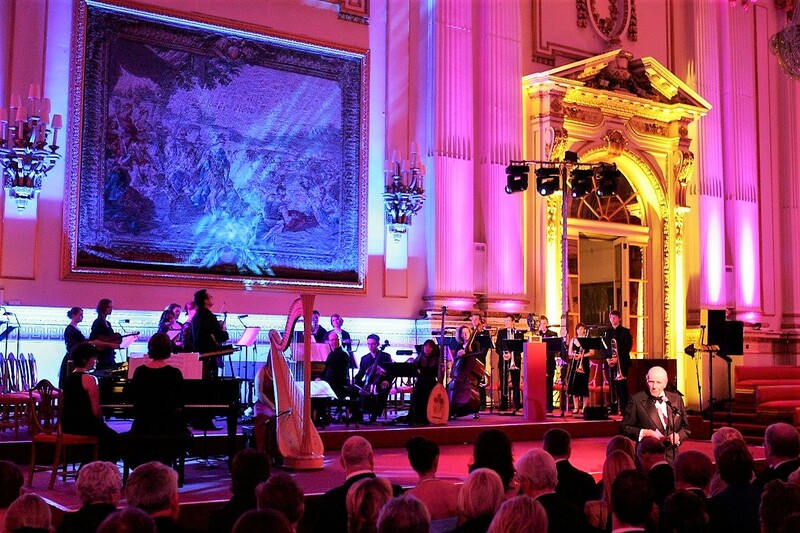 In 2010 the company produced the College’s first gala event at the Palace to mark the 60th anniversary of the institution. 2013 saw Production 78 hold two events for the college on separate continents within the same day. 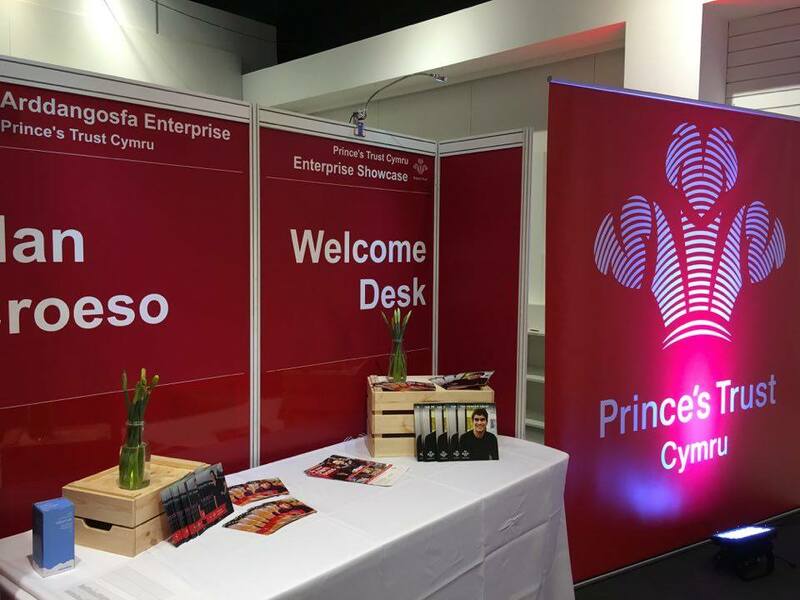 In Cardiff, half of the company produced a St David’s Day event where HRH The Prince of Wales toured the new facilities in the College. Simultaneously, in Los Angeles, the other half of the company directed a Star Ceremony for Richard Burton on Hollywood Boulevard and a Celebrating Creative Talent in Wales event in the Roosevelt Hotel. 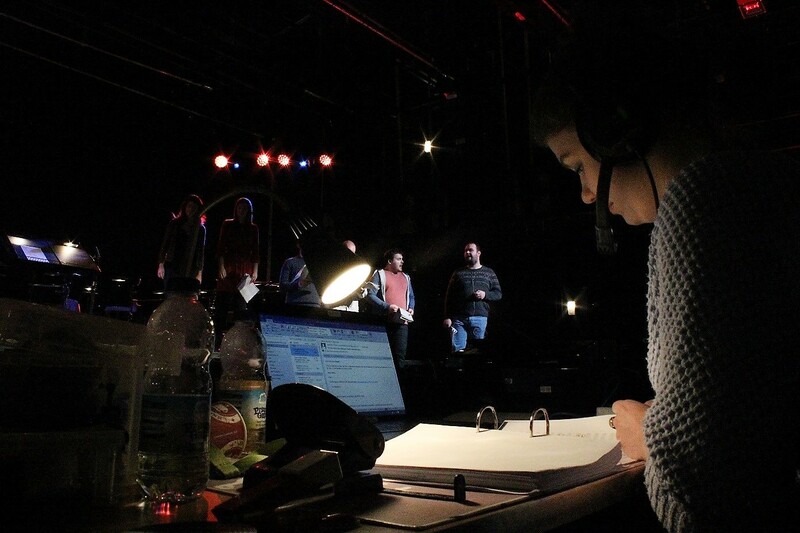 As well producing a number of key events for the college, Production 78 also teach the current students and regularly offer work placements within their company. 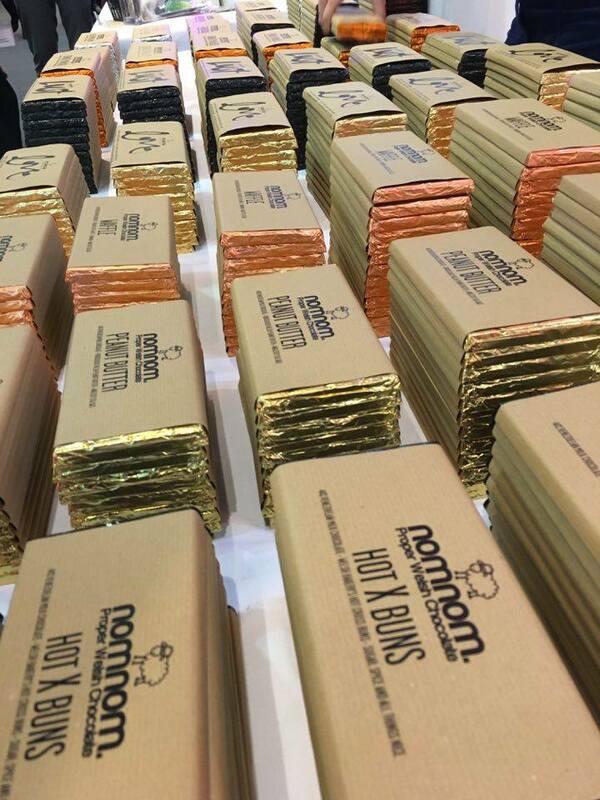 Production 78 delivered a gala event that showcased the high-standards of production that are upheld by the company, and made sure that this prestigious event was one that guests, students and staff of the Royal Welsh College would be proud of. 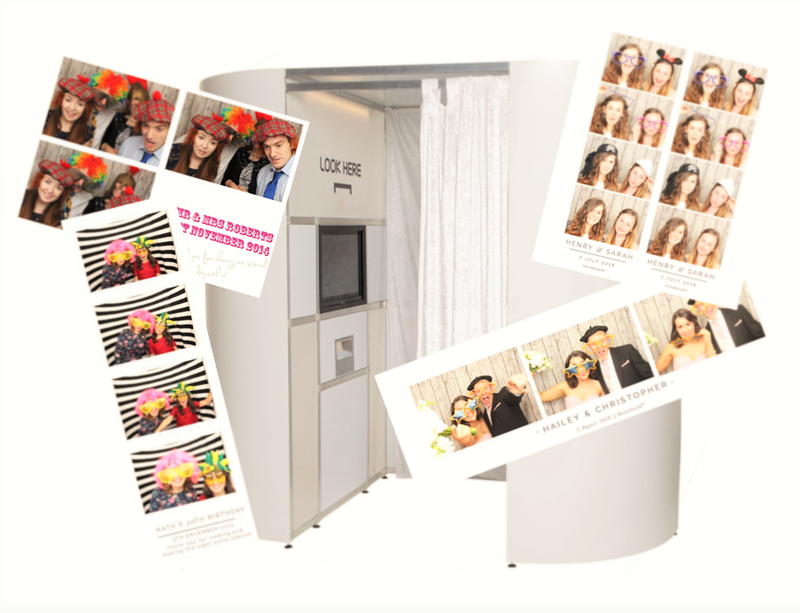 Introducing the "Bespoke Photo Booth"
Currently planning your next corporate event, private party, or product launch?? Regardless of the occasion, we have a great new product that will have guests talking about your event for many months to come. Since ‘selfie’ was crowned Oxford Dictionaries’ Word of the Year in 2013 it is hard to find anyone that doesn’t relish the chance to pose for one! 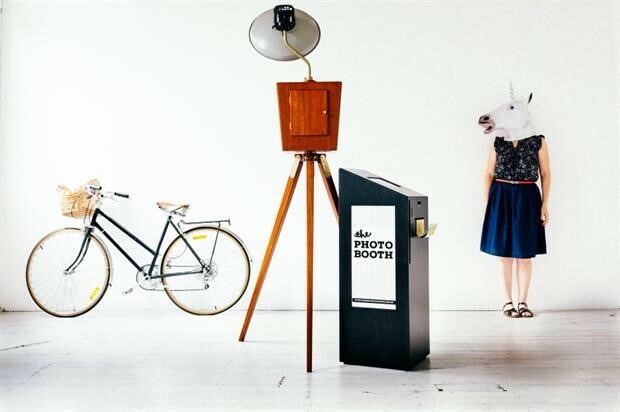 By hiring a bespoke photo-booth for your event not only are you providing your guests with endless excuses for selfies, you’re also seizing a promotional opportunity that is sure to capture everyone’s attention. We can fully brand the outside of the booth to help incorporate any themes you may have, or promote your company or brand at your event. The backdrop to your photo's can be altered to help create images that suit your event. For example, if you were hosting a private party with a traditional kitsch décor we would provide a photo booth with a photo back-drop of vintage roses. Even the final print out of your photo’s can be done to your exacting requirements! Whether you want a landscape set of prints or a portrait set of prints, eight photos or six photos, text or no text, it is all achievable. So if you think your guests are photogenic enough and you’re ready to snap up a bargain give us a call or email and book in your preferred date before anyone else! 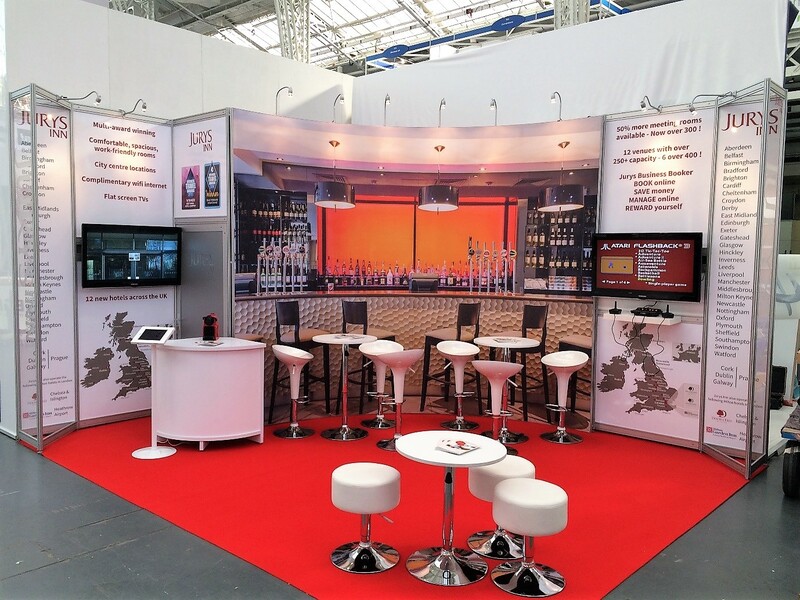 Have you been put in charge of pulling together the exhibition stand for your company this year? Are you looking for the best way to impress the bosses at head office? Want to know what’s high in demand this exhibition season? Touchscreens. 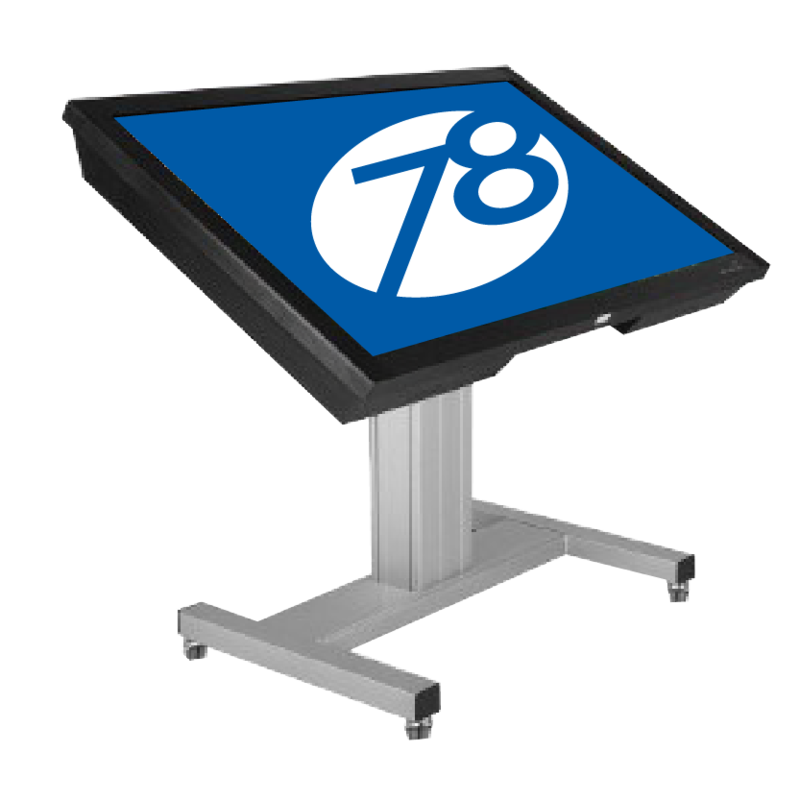 More specifically, our 55-inch market leading interactive Clevertouch touchscreen. As well as helping you stand out from the crowd our touchscreen helps you showcase your business in many original ways. With an in-built computer and custom built stand that allows the screen to be vertical, horizontal, or at an angle, the possibilities are endless. We have previously used this touchscreen to display interactive infographics, videos, and even event specific generated apps. Previous clients to hire this screen include Costain, Vinci, and Jurys Inn. So if you want to get your hands on this great piece of kit get in touch with our sales team now and we’ll provide you with all you need to get you noticed at your next exhibition! I know we’ve blogged about this before but it really is a crucial element in the recipe for a great event. The more time you have, the more creative you can be. By giving contractors and suppliers more notice of your event, the options you are likely to have will be far broader. For example, if you approached a promoter for an act to perform at your event a year in advance they are going to have availability with a far bigger range of artists than if you were to approach them several months in advance. It is far better to come to an event company with lots of ideas that we can help shape into an event rather than ideas that are limited by a mind-set that focuses solely on budget and what you think is achievable. It’s our job to make sure your ideas are realised and brought in on budget. Being a ‘creative’ event agency we will strive to achieve the closest possible reality to your vision through a diverse range of concept, design, and production techniques. One way to inject some life into your event is to change your venue. If you have held the same event at the same venue for several years, it may be time for a change. Looking for a venue that allows you to fulfil your current needs but also has space for expansion is a great idea. The change of venue will present you with new opportunities and challenges keeping your event fresh and exciting for both guests and yourselves. To quote Bruce Lee “Running water never grows stale. So you just have to keep on flowing”! Sponsorship can enhance your event in many ways. In exchange for advertisements, promotional material, or free tickets to your event, sponsors can offer various forms of contributions. Some sponsors will offer financial support, others will donate a certain amount of produce from their company, and some will offer further advertisement of your event. For example, offering a local radio station ten free tickets to your event, they can hold phone in competitions to give out the tickets. By offering free tickets to the radio station, not only are you giving them prizes and content for their air time, you are also increasing the publicity for your event which is bound to end up producing more ticket sales. With over 2 billion social network users globally you’d be a fool no to use this platform. Every second 12 new social network accounts are set up, that’s 1 Million per day. As well as using the well-established networks such as Facebook, Twitter, Instagram, Snapchat, Pinterest, etc. 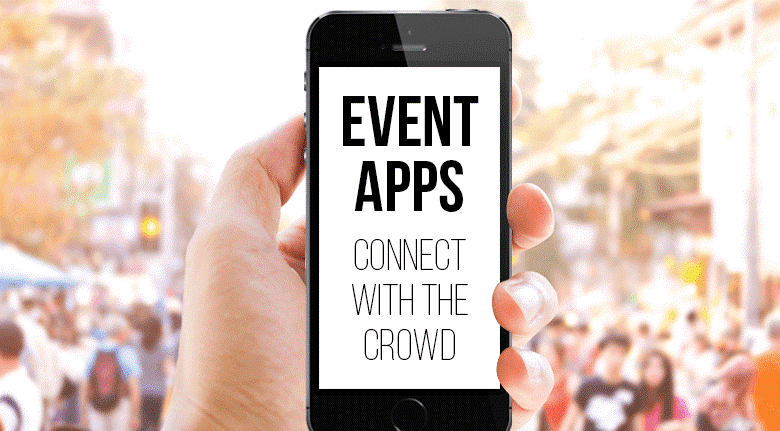 you can develop your own app for your event. Apps can be designed for registration processes, data collection, and to process purchases at the event itself, to mention but a few uses. 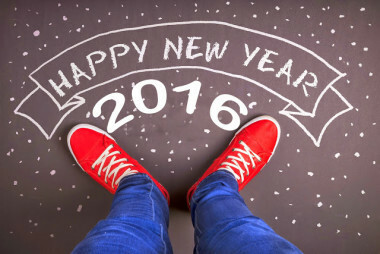 If you’re keen to get a head-start on everyone else send me an email at abi@production78.co.uk and we can begin planning THE event of 2016!